WARNING...... this is a COMPLETE kit! It comes with everything you need and nothing you don't. 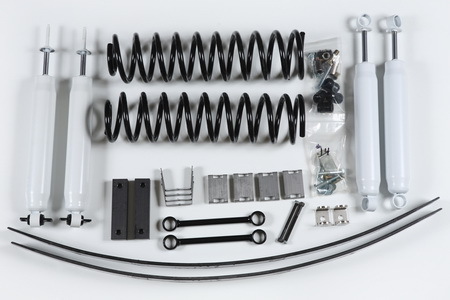 If you have the itch to lift up your XJ, but you are on a budget, look no further. You'll be amazed at the transformation for such a low price. Even on stock wheels and tires, your XJ will look, feel, and drive like it should have right off the assembly line. Buy this kit, you'll be glad you did!